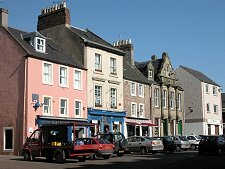 The attractive market town of Duns was for much of its history the county town of Berwickshire, an odd arrangement made necessary when Berwick-upon-Tweed itself finally ended up on the English side of the border in 1482. 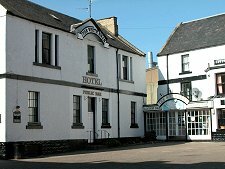 Duns itself was frequently caught up in the cross border wars between England and Scotland and the town you see today dates almost entirely to the years since 1545. That was when Henry VIII's troops destroyed the original town of Duns, located a little to the north of the current site and nearer to Duns Castle. The original Duns probably dated back to the 1000s, and in about 1320 Duns Castle was built as a tower house. 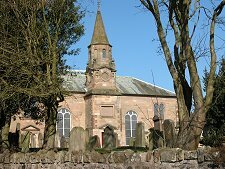 One of Duns' earliest claims to fame was as the birthplace in 1265 of the philosopher John Duns Scotius. He claimed that religion was based on faith not reason. This was a deeply unpopular view in his day and the word "dunce" became part of the language as a description of an educational under-achiever. Henry VIII's troops arrived during the "rough wooing", his efforts to persuade the Scots that the young Mary Queen of Scots should marry his son (see our Historical Timeline). 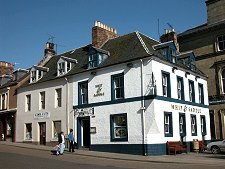 After its destruction Duns was very quickly reestablished on a site a few hundred yards to the south of its old location, where you see it today. The remains of the old town were only cleared from the park around the castle in the late 1700s. 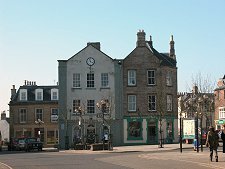 Over the centuries following its rebuilding, Duns was the main market town for a large agricultural hinterland. In the mid 1800s it was connected to the railway, a connection that lasted only until the 1960s. 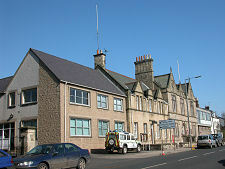 Duns today remains a bustling commercial centre. 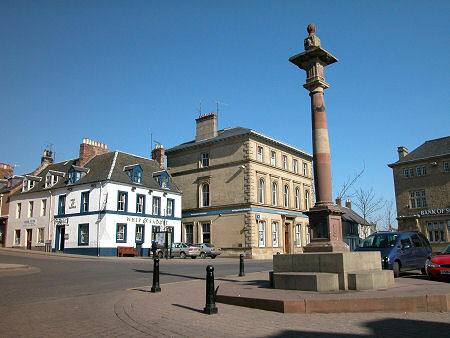 Its core surrounds the large market square, which in turn surrounds the mercat cross. 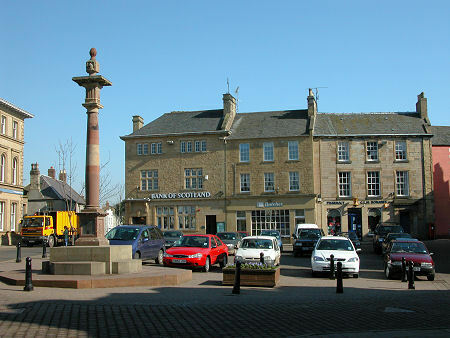 Much of the through traffic is carried away from the centre, which helps the look and the feel of the market square. Just to the north of the centre is the Jim Clark Room, set up to commemorate the twice world motor racing champion. Duns Castle now stands in its parkland to the north of the present day town. 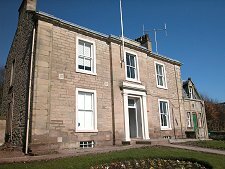 Most of the current structure dates back to around 1820 when the original tower house was dramatically extended to become a Gothic mansion posing as a castle complete with multiple towers, gargoyles and mock battlements. 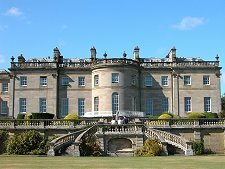 But even in its rebuilt form, Duns Castle is not the grandest house in the area. This title rests with Manderston, two miles east of the town. Parts of the house date back to 1790, but most of what is on view today was built in 1905.